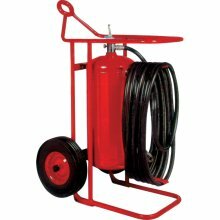 Buy the Kidde Pro 460 Fire Extinguisher for protecting against high fire hazard areas such as manufacturing workshops and vehicle repair shops. 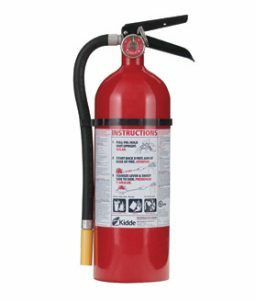 SKU: LS-21005785K Category: Fire Extinguishers Tags: abc fire extinguisher, high hazard extinguisher, kidde fire extinguisher Brands: Kidde. 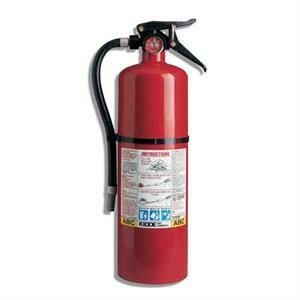 The Kidde Pro 460 is designed to be used in high hazard areas such as vehicle repair shops, manufacturing processes involving flammable liquids, boat servicing, woodworking processes, and similar occupancies. 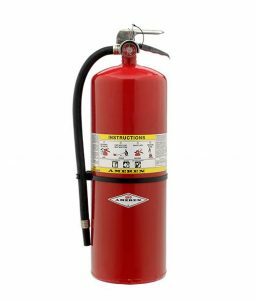 Suitable for use on Class A (trash, wood & paper), Class B (liquids & gases) and Class C fires (energized electrical equipment). The PRO 460 is fitted with a pressure gauge that provides at-a-glance status. 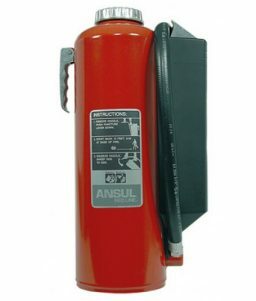 The extinguisher cylinder is manufactured from impact resistant steel. The valve assembly is all aluminum. 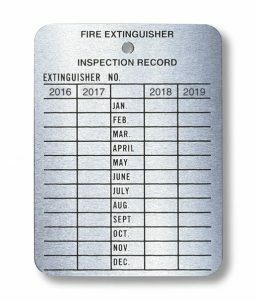 The Kidde Pro 460 comes with a bilingual (English and Spanish) nameplate and carton.